Wireless Devices – Listen, Inc.
SoundCheck can carry out the same range of measurements on wireless devices as it can on their hard-wired counterparts, measuring many parameters including frequency response, phase, distortion and more. SoundCheck is the ideal tool for testing all kinds of wireless devices as it contains all the algorithms needed to compensate for issues such as time delay, enabling any speaker, headphone, or microphone to be measured exactly the same way as its hard-wired counterpart. For example, SoundCheck’s ‘record padding’ feature enables the test signal to be buffered to overcome any connection delay. 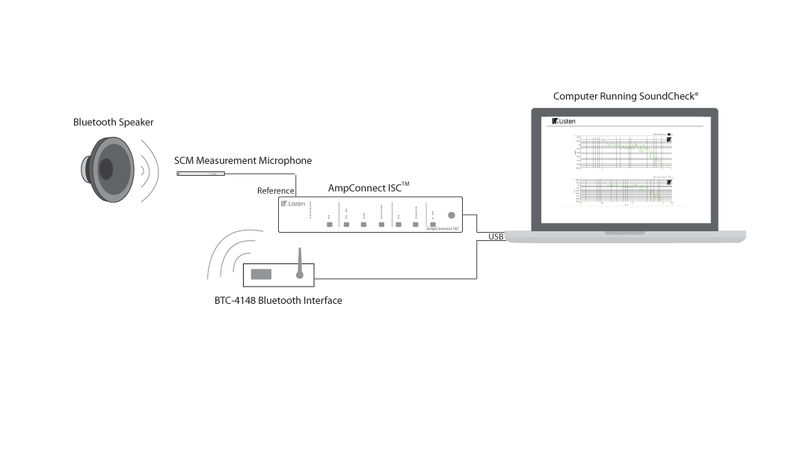 For Bluetooth testing, Listen offers the BTC-4148 bluetooth interface, which can be fully controlled from within SoundCheck. This interface offers full control over all Bluetooth protocol settings and explicit control over the CODEC choice, sample rate, and transmitter power, enabling devices to be specifically tested under the conditions that they need to operate. Please see the application section for the wireless device that you need to test (e.g. headphones, speakers, microphones, etc.) for more specific information on the functionality of SoundCheck for measuring that specific device. Wireless testing, is the same as testing the hard-wired version of the product, with the exception of the interface. Please see pages on headphone, speaker, or microphone, testing for information on the measurements specific to that device. 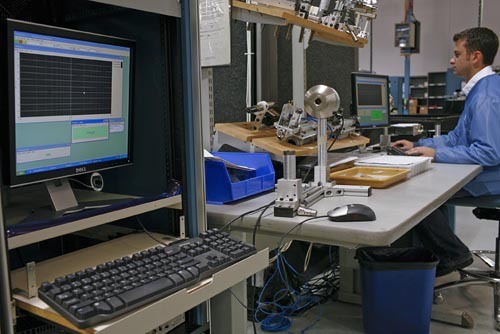 Examples: How do our Customers use SoundCheck for Measuring Wireless Devices? More information? See the right sidebar to view detailed information about relevant test sequences, white papers, webinars and more about wireless device testing.